NaAsat, was choreographed on a verse from the Vedas. It was first performed at Windsor Castle. It celebrated the culmination of ARC inter-faith conference. Ban Ki Moon and Prince Philip were among the audience. Beeja was started by Anusha Subramanyam – dancer, choreographer, teacher and dance movement therapist – who is seen as one of the most exciting exponents of bharatanatyam working ‘inside’ and ‘outside’ of its tradition. Her work is trans-cultural and inter-generational. She has also worked extensively with people who are differently abled. Beeja means ‘seed’ in Hindi. In keeping with its name, Beeja aims to generate new ideas, new understanding and fresh creative forms, particularly through the way that it allows us to be alert to, and take tremendous pleasure in living organisms and biological webs of relatedness. Like a seed underneath the soil collecting all sorts of nutrients, Beeja works as a collective and draws on the skills of its members to develop a distinctive way of working that offers an all-round experience. It is about life’s choreography. Over the years Beeja has performed in mainstream venues and in non-conventional venues like museums, hospitals, schools, village halls and other public spaces. It aims to make bharatanatyam accessible to a wider audience and encourage interaction with the artists and the dance form. 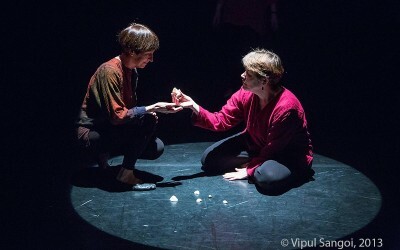 Beeja’s offers a range of options — performances, workshops, residencies and regular dance classes. Beeja, in collaboration with some of its partners, also offers workshops and residencies in ‘Bollywood’, Indian folk, creative movement and other Indian classical styles.